This week at 'Tis The Season it's all about the color blue! 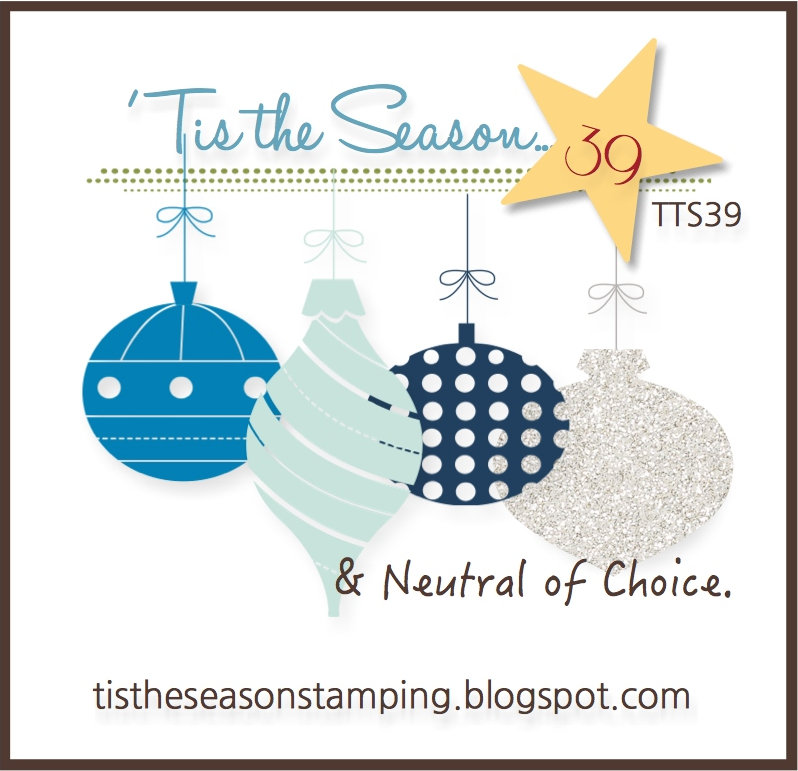 We've got 3 different shades to use on a Christmas card, plus a little silver to add some pizzazz! For my card I used a set from SugarPea Designs called Frosty Friends. My husband is a huge Frozen freak (yes, you read that right, my husband!) and one of the sentiments from this set was perfect for a Christmas card made with him in mind. I used Winter Frost Specialty DSP from Stampin Up as it had all 3 shades on it as well as some silver. I love it when things work out like that! The image was colored in with copics. I'm new to copics and am still learning so be gentle with me :) To finish the card I added a small bow made from silver stretch cord. Make sure you head over to the 'Tis The Season blog to see what the rest of the design team did and then play along with us!